It has been awhile since we have seen a running back like Fournette in college football. Sure, players like Melvin Gordon, Mark Ingram, Montee Ball and more have had their huge days, but the way Fournette runs is reminiscent of Adrian Peterson. 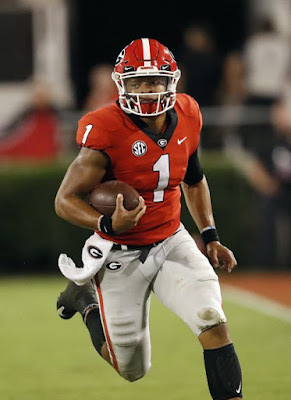 The true sophomore's stats don't lie: He has 1,532 yards at the moment, along with 15 touchdowns, while averaging a whooping 7.7 yards per carry. A constant criticism of Fournette is that he hasn't played any quality defenses. 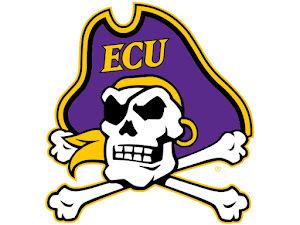 And while he has beat up on some week defenses, his performance against Florida earlier in the year, when he rushed for six yards a carry, should answer those questions. A dominant showing against Alabama in primetime could essentially lock down Fournette as the Heisman winner in 2015. This is the best crop of running backs we have seen in awhile. Big names like Fournette, Henry and Elliott are having tremendous years but even smaller name guys like McCaffrey and Devontae Booker out of Utah are impressing. Even so, all those names pale in comparison to Fournette. Sure, they have put up huge numbers (particularly McCaffrey) and their teams are in the Playoff mix, but Fournette's dominance so far has not been even close to being met. There was significant Heisman hype for Boykin entering the year and the former receiver has responded by putting together a truly phenomenal senior campaign. 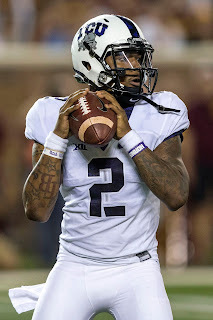 He has 2,927 yards, 28 touchdowns and five interceptions through the year and has TCU riding high on an undefeated mark. A dominant performance this past Thursday against a pretty decent West Virginia defense only proves further Boykin is the top quarterback in the nation this year. While Boykin has been the nation's best quarterback so far this season, his play has also elevated senior Josh Doctson, who is one heck of a player in his own right. Doctson is leading the nation with 1,250 yards up to this point, including huge days against Texas Tech and Iowa State. While Baylor sophomore Corey Coleman is also playing well, Doctson's sure hands and insane usage rates have given me enough to hand him the Biletnikoff and perhaps be a sneaky Heisman threat down the stretch. Entering the year, it is safe to say not much was expected of senior defensive end Carl Nassib. The former walk-on appeared like he would play a small role on Penn State's defense before finishing up his time at the University. Instead, Nassib is leading the nation in sacks, with 13.5, three more than the next closest competitor. The little know linemen has been absolutely wonderful all year and his 6'7" frame and intriguing skill set is making NFL scouts notice real quick. The Wolverines' brutal loss to archrival Michigan State seemed to end their growing Playoff hopes. But, even so, the job Harbaugh has done in just a few short months at his alma mater has been astounding. Michigan has done a complete 180 from the 5-7 team they were a year ago; they have played with more edge, passion and discipline. The Wolverines have already recorded more wins this year than last (sitting at 6-2) and have a chance to end their season in a big way against hated rival Ohio State, possibly playing spoiler to their Playoff hopes.